SACRAMENTO, Calif. – March 29, 2018 – The Center for Digital Education is proud to announce the winners of the 2017-18 Digital School Districts Survey Awards. These districts are innovating in exemplary ways by investing in tools and learning models for the next-generation learners. 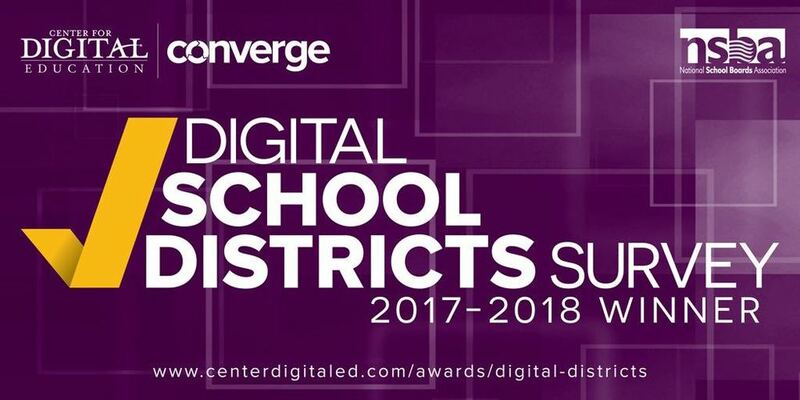 Now in its 14th year, the Digital School Districts Survey Awards recognize commendable use of technology by school boards and districts. The awards are presented by the Center for Digital Education at the National School Boards Association’s annual conference each spring. The Digital School Districts Survey awards the U.S. public school boards/districts that most fully implement technology benchmarks in the evolution of digital education, as represented in the survey questions. their support of school districts across the nation.